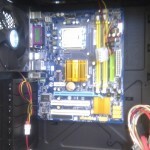 I recently had a bit of a shuffle round of computer parts, which meant that among other things, I put a brand new Sandy-Bridge processor in my computer used for video editing and PCB layout work, and shuffled my older, Core2 based, system into my general office computer. Of interest, though was the fact that I had recently aquired a Cooler Master CM 960 case, which being built for keen overclockers and gamers, had a quite different approach to making a high-end case than the Antec 3700BQE which I use at home, which is built for quiet operation. I thought it would be interesting to jot down some notes on how the process went so people can see a few more features of these cases. 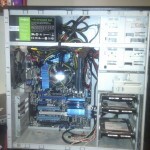 Here’s the Antec case with my previous system removed (although not the dust). All ready to start building. First thing to go in is the new power supply. 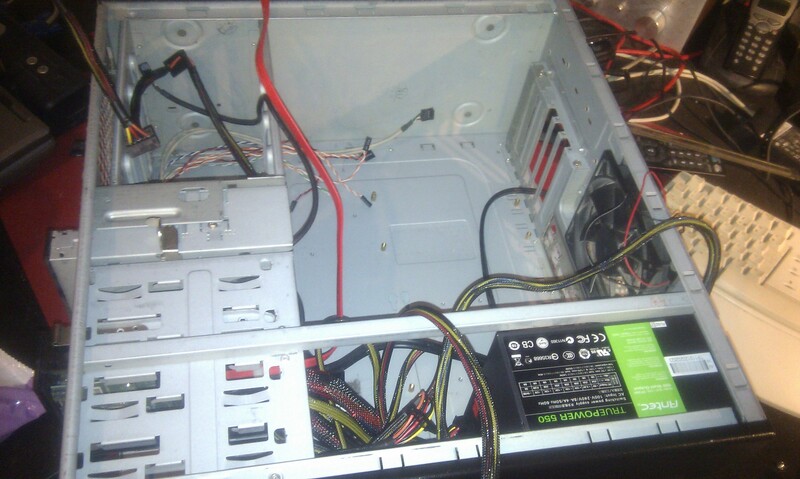 I upgraded to a 550W Antec TruePower unit, partially to make sure I was giving the new motherboard and CPU plenty of juice, partially to upgrade to a more efficient PSU and partially to gain the neatness benifit of a modular system with the wiring a lot tidier. 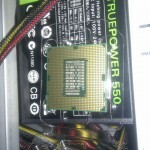 This is the new i5 Sandy Bridge processor. 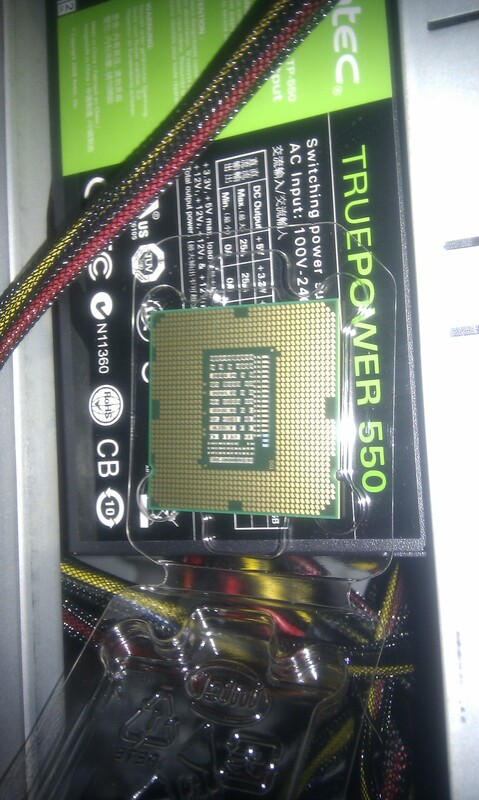 Nothing particularly revolutionary about it if you’ve worked with a socket 775 processor, otherwise you may find its lack of pins and the spring contacts in the socket interesting. New motherbard mounted in the case, the power cables are still a bit of a mess, however that can be tidied up with a quick application of some cable ties. 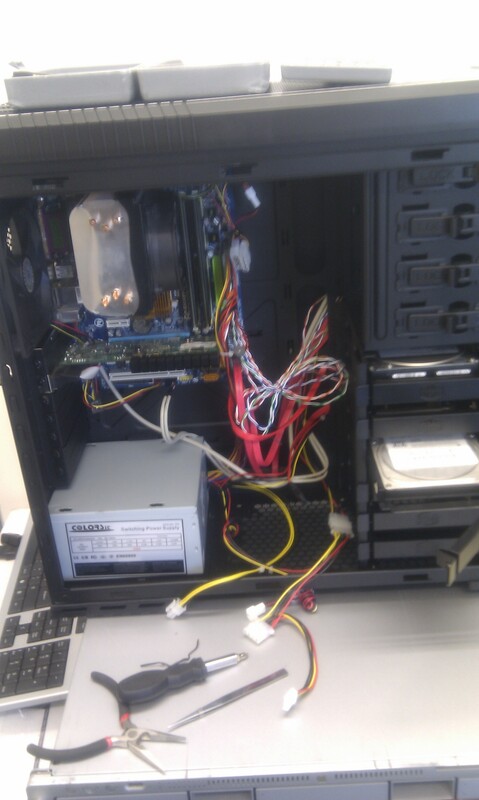 I’ve also replaced the hard drives. 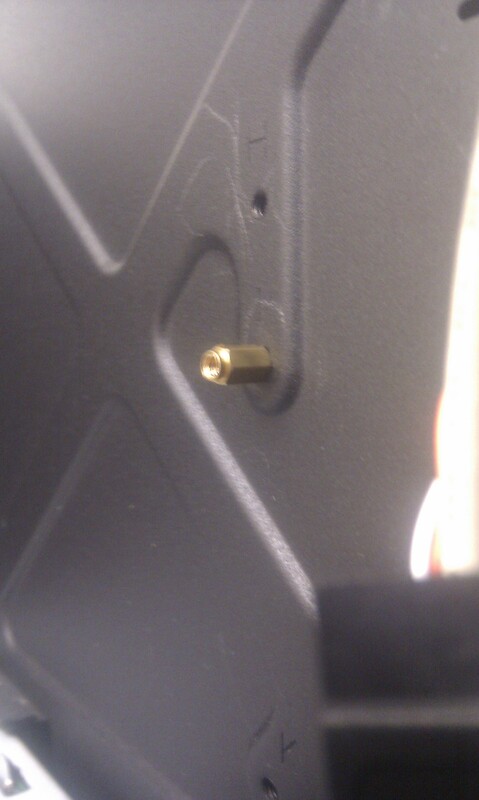 These are screwed (through rubber gromets to reduce vibration) into trays that then clip into the case. 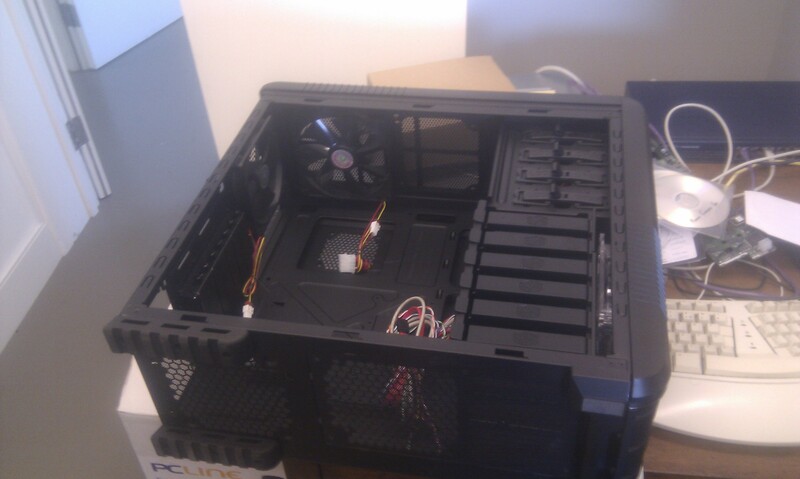 Onto the next build, and this is the Cooler Master case open, and ready to start building. The range of cooling options on this is staggering. I lost count at 13 places to mount fans, you can also mount 240x120mm liquid cooling radiators either in the top or bottom of this case. The inside is also finished as carefully as the outside with a pleasing matt black finish throughout. The attention to detail in this case is most impressive. Included amongst the various fittings were two of these motherboard standoffs, with carefully machined pimples so that they hold the board in place while you get the screws put in. 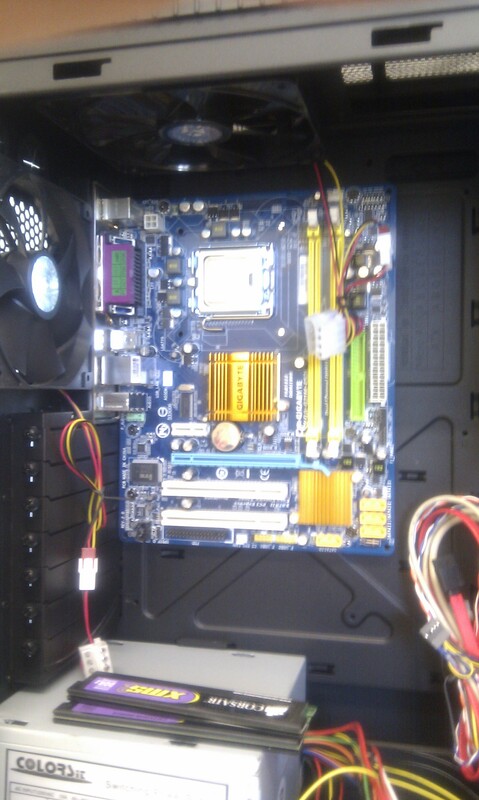 Here I’ve got the motherboard mounted, while this is only a mini ATX board, there is still masses of room around it. Short of wanting to mount a desk fan on your CPU, it’s hard to imagine having trouble fitting any items you may want to in here! 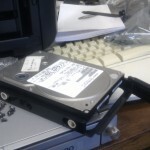 Here’s a hard drive in one of the six holders that come with the case. While the tool-free theme of the case continues here, I can’t help but feel that these are the one let-down of the case. 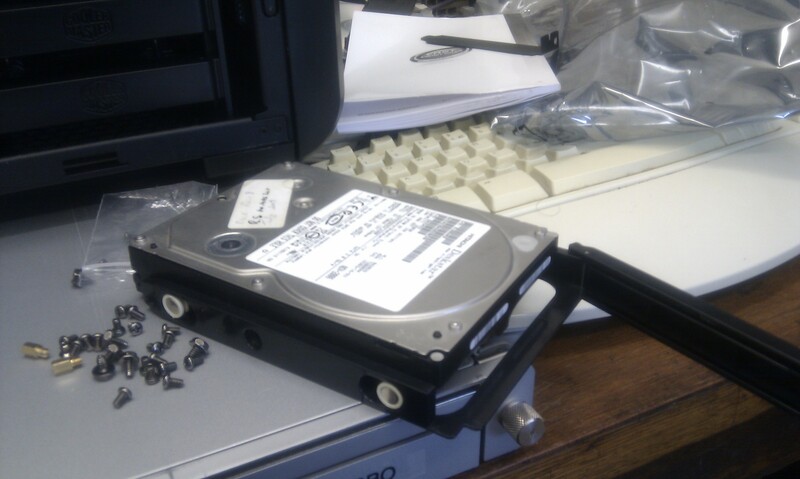 The drive is inserted by flexing the plastic around it, and the whole thing feels a little flimsy. The insertion action also feels plasticy compared to the firm click of the spring clips in the Antic case. 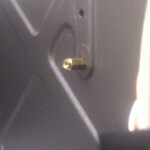 While I certainly didn’t encounter any problems with the system, and again there are rubber grommets to isolate any vibration, it didn’t seem quite in keeping with the quality of the rest of the case. 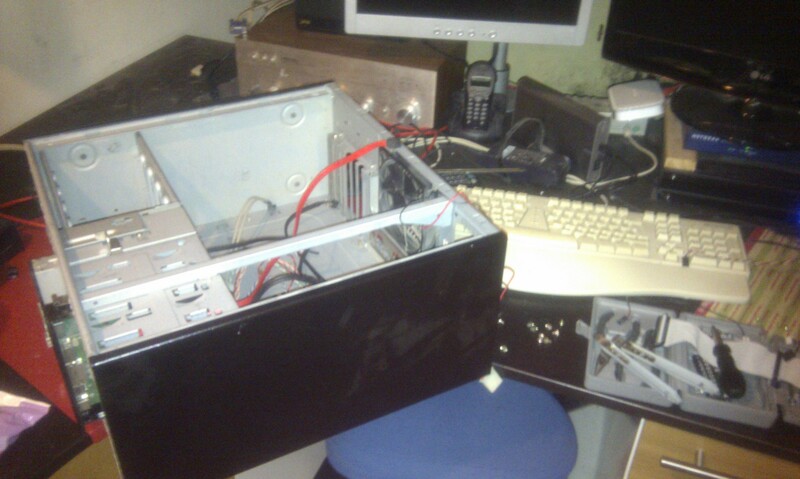 Here’s the power supply in the case. 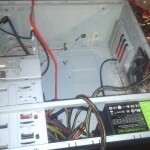 Mounting the unit at the bottom of the case makes a lot of sense, and seems to be gaining popularity. The weight of the unit helps keep the system stable and by drawing in cool, fresh air the PSU runs cooler (or quieter if it means it can slow its fan down). 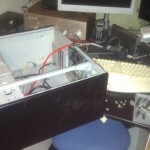 The job of removing warm air from the case is then done by dedicated fans. 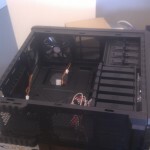 This case does allow you to mount the PSU either way up if you want it to work as an added exhaust fan, by the way, but I chose to let the fans do that job and give the PSU fresh air. There is a mesh over the air inlet, however I think that a periodic clean with a hoover will be necessary, given the amount of fluff on the average floor / desk. This is where I ran into a problem. 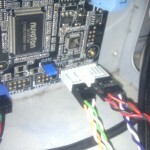 The 12v Aux power connecter on the power supply was not long enough to reach to the connector at the top of the mohterboard. 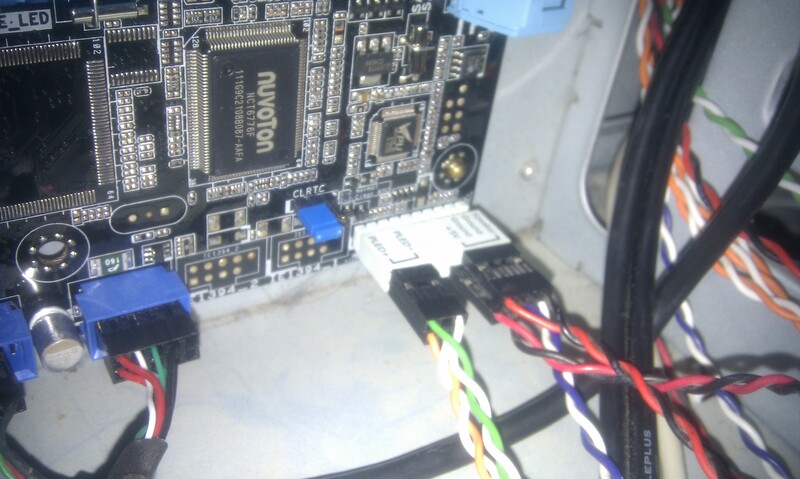 I was able to use a second connector from another power supply and solder onto the wires from this one. 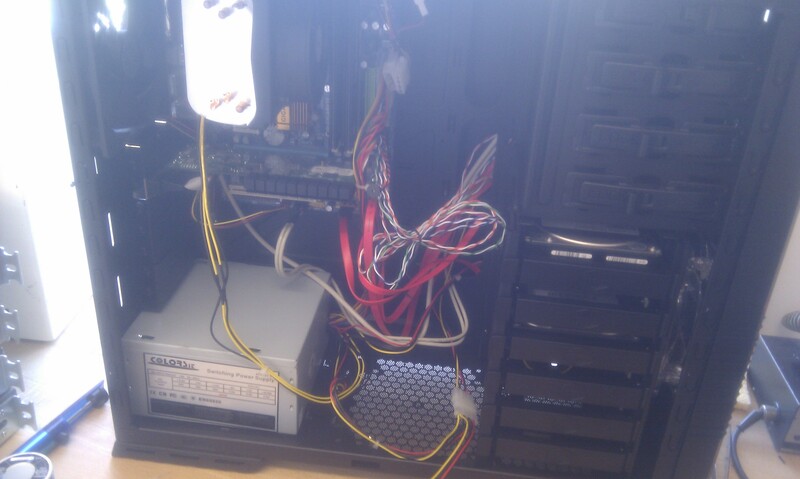 I’m sure that extension cables are available, but my solution cost nothing apart from a bit of soldering. However it would almost certainly void the warranty of a new power supply, so choose carefully if you go for a case where the PSU is mounted at the bottom. In conclusion, these cases are both built to a high standard, and have made two systems that serve me very well. The Cooler Master CM960 certainly has the potential for a staggering amount of cooling. With 1kW power supplies now on the market, you’re going to have to shift an awful lot of air to dissipate the heat inside your case. With it’s staggering amount of ventilation options, this case should have little problem dealing with that. 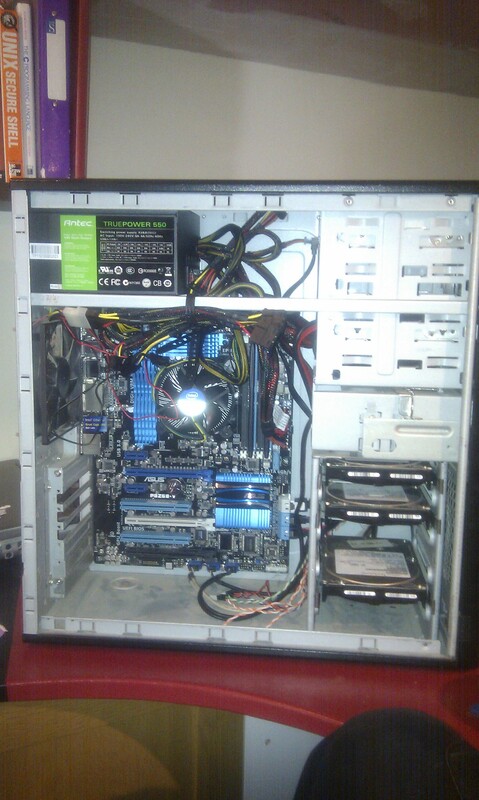 I was pleasantly surprised, too, at how quiet it is with the default fan configuration in there. It’s just about audible, but certainly far from intrusive in an office environment. With thumbscrews to take the side off and clips holding the dives in, it’s almost entirely tool-free for anything short of changing the motherboard. The water cooling options are intriguing, and the idea of transporting waste heat straight to the outside of the case makes sense. 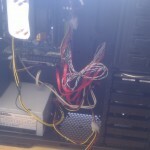 However at the moment, the expense and complication of water cooling puts me off. 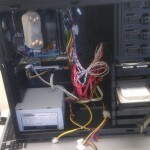 The Antec 3700BQE meanwhile is another excellent case. Component replacement is not quite as easy (You have to screw rails to the sides of optical drives, then remove the front panel to insert them, for example) but remains a great step above the faffing needed with the average case. A great deal of thought has been put into running quietly, with rubber mounts on all fans and drives, along with solid sides to contain any noise, it runs almost silently, ideal for concentrating on audio and video work. Admittedly there isn’t as much space if you wish to fit additional components, however there’s plenty of room for a hefty CPU cooler, and room for plenty of drives for me. « Are big changes coming?